Chrysler and Dodge minivans have come a long way in 35 years. Four years after the introduction of its replacement, the Grand Caravan continues on. There aren't any perfect 1990s Chrysler minivans left -- except this one. 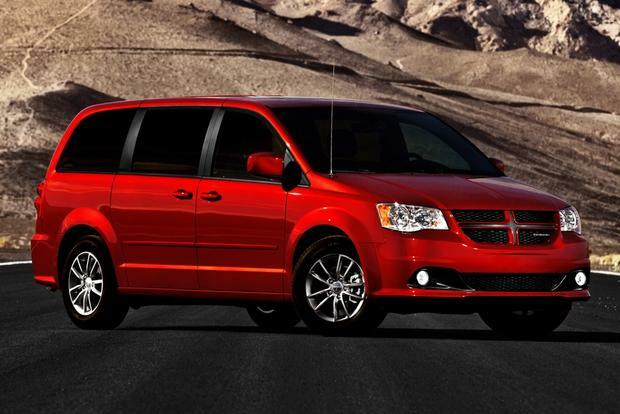 The 2014 Dodge Grand Caravan offers a lot of features for a little money, making it a great used car buy. 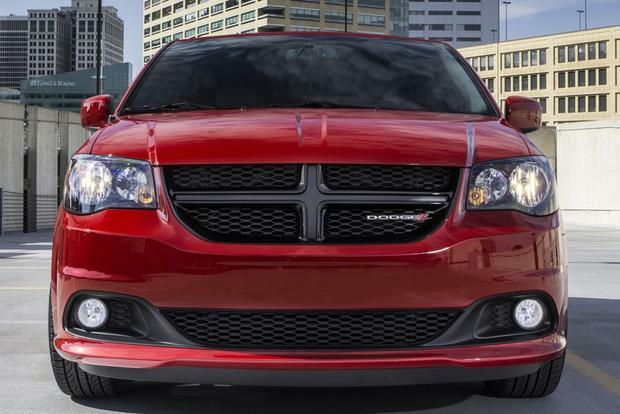 A 2015 Dodge Grand Caravan offers class-leading power, storage and options, all at a very reasonable price. The Dodge Grand Caravan, America's best-selling minivan and the car that started the minivan craze, has lost ground to numerous competitors in recent years. 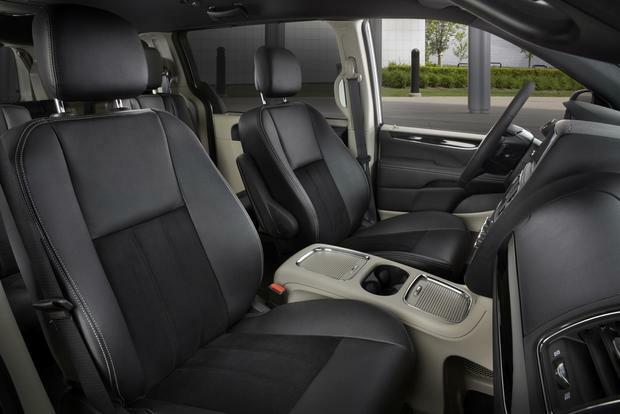 While the 2015 Dodge Grand Caravan offers a versatile interior and a wide range of comfort and convenience features, the van seems pedestrian next to top models from Nissan, Toyota and Honda. Regardless, the Grand Caravan is a great family vehicle, and it's attractively priced. Buying American in this case doesn't mean you're taking one for the team. Rather, you're getting a good minivan at an excellent price, just like the first Dodge Caravan all those years ago. 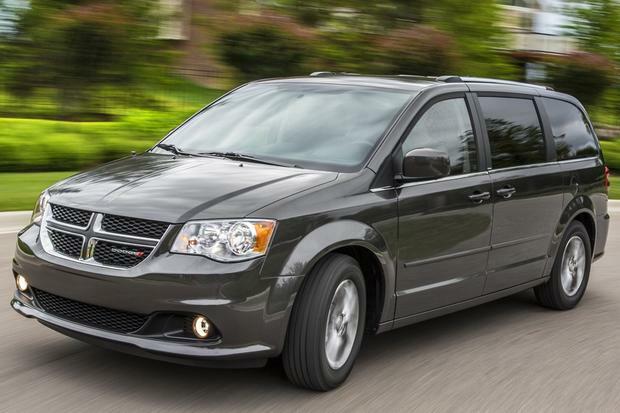 Pending an all-new model likely set to debut for 2016, the Grand Caravan is unchanged for the 2015 model year. After years of offering numerous engines, the Grand Caravan now employs only one powertrain: a 3.6-liter Pentastar V6 rated at 283 horsepower and 260 lb-ft of torque. Mated to the V6 is a smooth-shifting 6-speed automatic transmission. While the new V6 offers strong hp, the trade-off comes at the pump: Fuel economy is a middling 17 miles per gallon in the city and 25 mpg on the highway. 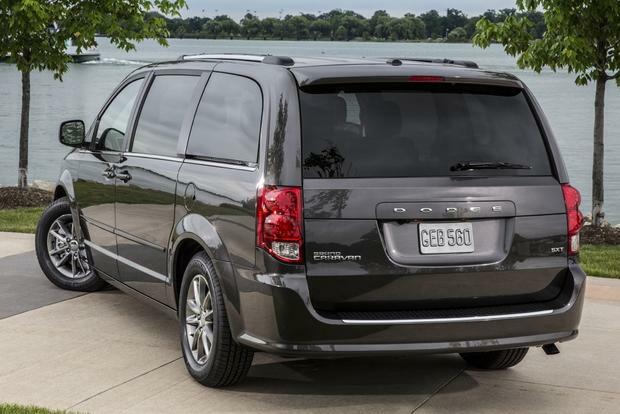 The 2015 Dodge Grand Caravan comes in four trim levels: American Value Package (AVP), SE, SXT and R/T. Each trim level comes standard with the 283-hp V6, a 6-speed automatic transmission and front-wheel drive. The AVP model ($20,800) offers 16-inch steel wheels with plastic covers, heated exterior mirrors, power accessories, dual-zone manual climate control, cruise control, handy Stow 'n Go rear seats, a full roster of safety equipment, and a 4-speaker audio system with an auxiliary audio jack. The SE ($25,800) adds body-color exterior accents, trizone manual climate control, a removable center console with four cupholders and a 6-speaker audio system. The SXT ($28,700) steps things up with 16-in alloy wheels, dual power-sliding doors, a power lift gate and power adjustable pedals. The high-end R/T ($30,500) is the Grand Caravan's luxury-oriented model. In addition to its standard power lift gate and rearview camera, the R/T includes sport-tuned suspension, black leather upholstery with red stitching, a power front passenger's seat, and a 9-speaker Infinity audio system with a subwoofer. Notable options include iPod connectivity, Bluetooth and a rear-seat DVD entertainment system with a 9-in flip-down screen. The Grand Caravan is also sold under the name RAM C/V Tradesman as a windowless work van -- the only current minivan to offer such a conversion. The 2015 Grand Caravan comes with standard stability control, 4-wheel anti-lock disc brakes and six airbags (front, front-side, full-length side-curtain). In government crash-testing, the Grand Caravan received an overall rating of four stars out of five, including four stars for frontal impacts, five stars for side impacts and four stars in the rollover test. In testing conducted by the nonprofit Insurance Institute for Highway Safety, the Grand Caravan earned strong scores in four of the group's five tests, though it has not yet been subjected to the difficult small front-overlap test that has caused problems with other models. The current Grand Caravan doesn't have the most refined chassis in the minivan class, and that's evident over big ruts and potholes in which the Dodge shimmies and shakes worse than most rivals. Despite the Grand Caravan's crude chassis, the highway ride is quiet and relaxed. 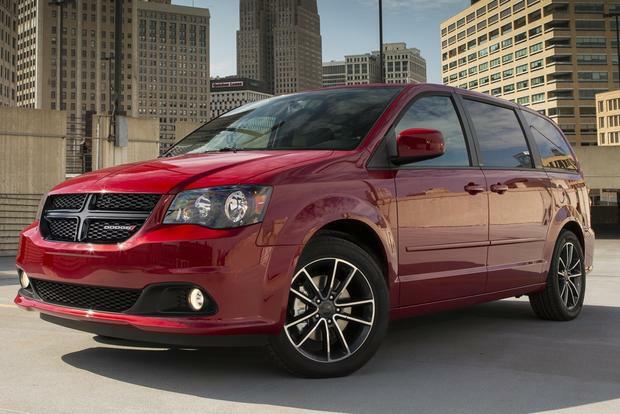 With a best-in-class hp rating, the Grand Caravan has more than enough power to get out of its own way. As for handling, it's surprising that the Grand Caravan actually has reasonably precise steering, which mitigates the sensation that you're driving a bus. Honda Odyssey -- The Odyssey boasts comfy accommodations and an impressive technology suite, including an optional vacuum in the rear cargo area. The Odyssey suffers from dull dynamics and styling that some will find questionable. Nissan Quest -- Based on a Japanese-market van, the Quest is taller and narrower than the rest, but it also has the nicest interior and an eager-to-please V6 engine. Toyota Sienna -- The Sienna offers engaging dynamics, a powerful V6, and a novel split-screen entertainment system that allows two kids to do their own thing simultaneously. The Grand Caravan offers several enticing models -- including the unique R/T, which is about as close as any automaker comes to a sporty minivan. The best deal is the Grand Caravan SXT, which includes everything a parent might want -- such as dual sliding doors and tri-zone climate controls -- along with a few special features including a power lift gate and alloy wheels that go the extra mile.